Eric Herschthal - "Frederick Douglass on Science: What he said, why he said it, and what he thought it ought to be"
Eric Herschthal will discuss Douglass's complicated relationship with scientific thought in nineteenth century America. He argues that Douglass had a deep passion for science, but was deeply disappointed that scientific ideas had come to justify theories of black inferiority. 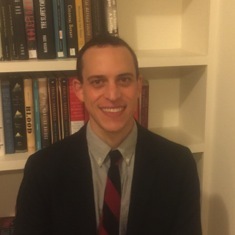 Eric Herschthal received his Ph.D. in history from Columbia University and is currently a Race & Medicine Postdoctoral Fellow in the African American Studies Department at The Ohio State University. He is completing a book about the role scientists played in the antislavery movement, which is under contract with Yale University Press. He also writes for mainstream publications, including The New York Times, The New Republic, and The New York Review of Books. Sponsored by the Center for International Relations and Politics, the Center for Student Diversity and Inclusion, and Requiem for Rice.